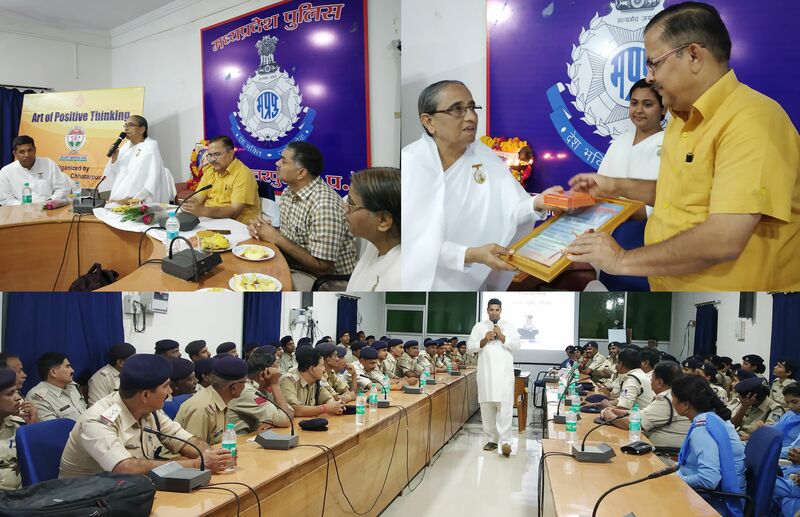 Published October 8, 2018 at 4160 × 2688 in Brahmakumaris conducted a conference on Police Department at Chhatarpur Police Control Room, BK Geeta Didi given speech on Art of Positive Thinking and BK Raj Singh Bhai given speech on Stress Management. D.I.G. Chhatarpur Range Mr. Anil Maheshwari, S.P. Mr. Vineet Khanna, Sub-Inspector Jairaj Kuber, R.I. Yogendra Singh and 126 staff members attended this conference.